What Cacao Mexicatessen did for fowl with its duck carnitas, Momed is now doing with its duck shawarma: Melding an uncommon choice of meat with classic cooking technique to create an innovative hybrid you'll rarely find, at least in Los Angeles. 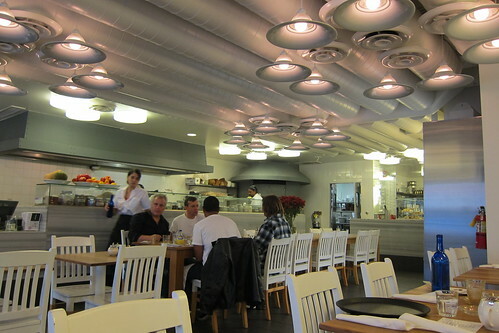 Momed, Alex Sarkissian's airy, Beverly Hills eatery opened in April offering "recipes from the modern Mediterranean," and nowhere is the word made flesh better than with their duck shawarma. It's no El Tepeyac, but Momed's duck shawarma ($14), can hold its own against L.A.'s cadre of belly-bricking burritos. 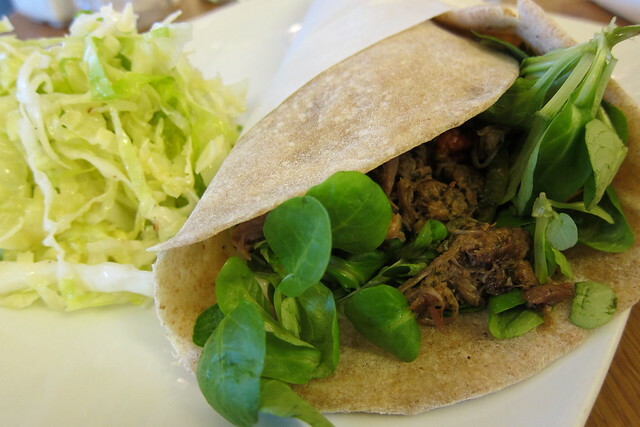 About 8-inches long and wrapped in a flatbread halfway between a pita and a tortilla, the shredded duck is tender and juicy, laden with cumin and livened with chunks of sweet, roasted eggplant. Yes, I ate eggplant -- and liked it. (For the record: I despise eggplant in almost all preparations except baba ganoush.) The sucker is served with a pile of crisp, shredded cabbaged dressed in almost nothing but lemon juice and perhaps a touch of oil. 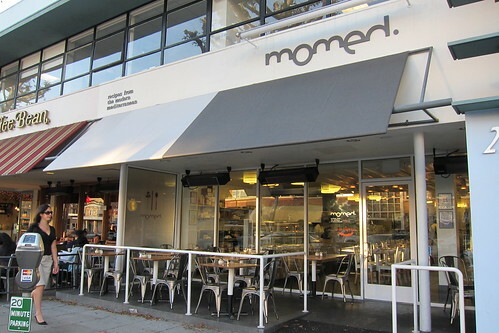 Momed offers a dozen spreads and side salads, but its most compelling element, after the shawarma, may be the pastry bar. 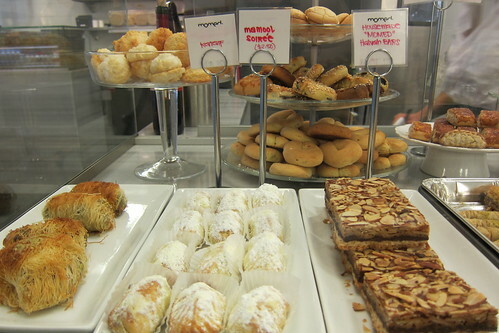 It's filled with housemade halvah bars, kataif (pastries made of shredded dough and filled with, in this case, pistachio) and elegant baklava rounds, all of which provide an excellent excuse to linger over a cup of small but mighty Intelligentsia coffee.